Safefood 360 is the software partner for forward thinking food companies seeking to future proof their business in the areas of compliance, management processes, risk management and brand protection. Our mission is to provide global businesses with cutting edge enterprise software and expert support. Our software platform and supporting professional services are particularly suited to larger multinationals seeking the benefits of standardization and harmonization of key compliance processes across the group. Safefood 360 solutions are used by leading enterprise food businesses headquartered in the United States, United Kingdom, China, Benelux, Australia and New Zealand. More information can be found at our website. AIB International is a global food safety organization providing consumers’ most trusted brands with inspections, consulting, training, R&D, and certification services. AIB International’s mission is to positively impact the food supply chain. Founded in 1919, our unparalleled service has earned us the trust of more than 40 companies in the Fortune 500. 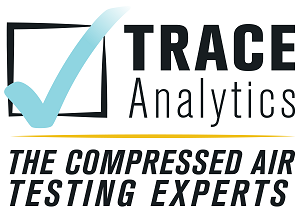 Trace Analytics is an A2LA accredited laboratory specializing in compressed air and gas testing for food and beverage manufacturing facilities. For over 29 years, we’ve upheld the highest industry standards of health and safety, delivering uncompromising quality worldwide in accordance with ISO, SQF, BRC, and FDA requirements. Contact our HACCP-certified customer service team for a personalized solution to your particulate, water, total oil, and microbiological testing needs. Contact us to discuss your compressed air monitoring program. DNV GL is one of the world’s leading certification bodies. We help businesses manage risk and assure the performance of their organizations, products, people, facilities and supply chains through certification, verification, assessment and training services across a wide range of industries. In the food and beverage industry, we help customers worldwide to achieve excellence in food safety and quality, environmental management, supply chain management and product sustainability. We combine technical, digital and industry expertise to empower companies’ decisions and actions. Partnering with our customers, we build sustainable business performance and create stakeholder trust. With origins stretching back to 1864 and operations in more than 100 countries, our experts are dedicated to helping customers make the world safer, smarter and greener. METTLER TOLEDO provides in-line product inspection solutions for the food processing industry with Safeline metal detectors and x-ray inspection systems Hi-Speed checkweighers, and CI-Vision machine vision inspection systems. From economical systems to sophisticated, state-of-the-art systems with customized material handling solutions, our systems can ensure perfect product presentation, verify package and label integrity, ensure weight range compliance, detect physical contaminants and inspect contents inside the closed package.